What should you look for when buying shoes for your favourite exercise or sport? So what can you expect during a biomechanical assessment? It is normally a 40-60 minute consult where your podiatrist assess your feet and lower limbs in detail as well as how they function during walking and running. They look at how the lower limbs interact with the rest of the body i.e. your knees, hips, back and neck. For this reason, podiatrists will assess the range of motion in all your joints as well as if there are any limitations caused by tight muscles, ligaments, bony malformation or degeneration. You can expect to be assessed lying down, standing, walking and even running if this is part of your daily activity. You may also be referred for imaging such as x-rays, diagnostic ultrasound or an MRI. Custom orthotic therapy is a primary treatment used by podiatrists, but even more importantly, they are used as a preventative measure to control progression of foot deformities that are both hereditary and developmental. There are a myriad of biomechanical factors that may be exacerbating or causing foot problems and for this very reason, podiatrists spend years studying to learn how to perform thorough biomechanical assessments. Based on all the findings and diagnosis, your podiatrist will implement a treatment plan that may incorporate a change in activity, a different footwear prescription, modifications to your existing shoes, stretching exercises, soft tissue work such as dry needling, therapeutic ultrasound, taping and if required a very detailed custom orthotic prescription. In order for an orthotic to be manufactured accurately, your podiatrist will either take a 3D scan of your feet or a plaster cast. These are sent to a laboratory along with the podiatrists prescription for manufacturing. In saying this, podiatrists may prescribe a simple over the counter insole for some conditions if not complicated by a biomechanical factor. So what happens next? Once the orthotics is ready, your podiatrist will schedule an appointment with you for an orthotic fitting. You are normally requested to bring your shoes with to this appointment so the orthotics can be correctly fitted to your shoes. Orthotics will be assessed on your feet to check that the prescription is correct and you will be asked to walk in them so that the changes brought about by the orthotics can be assessed. There is usually a wearing-in period where you will be instructed to gradually wear orthotics fro longer periods until you can comfortably wear them all day. You will be booked for a review within two weeks and then again in two months. 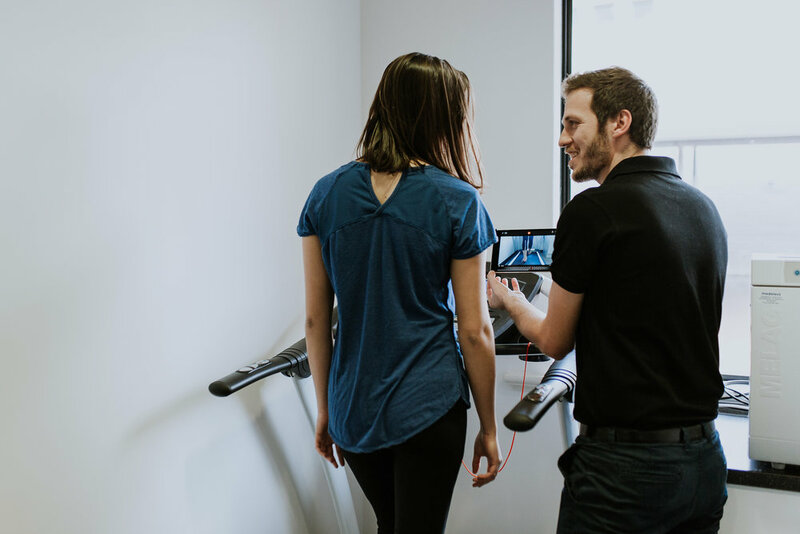 Referrals to other health practitioners such as physiotherapists, chiropractors and remedial massage therapists to help with muscle work are also done at this time. All rights reserved. 2018 JS Podiatry.